The Total Fire Ban Has Now Been Extended to March 21. For the protected areas on North Stradbroke Island. Department of National Parks. 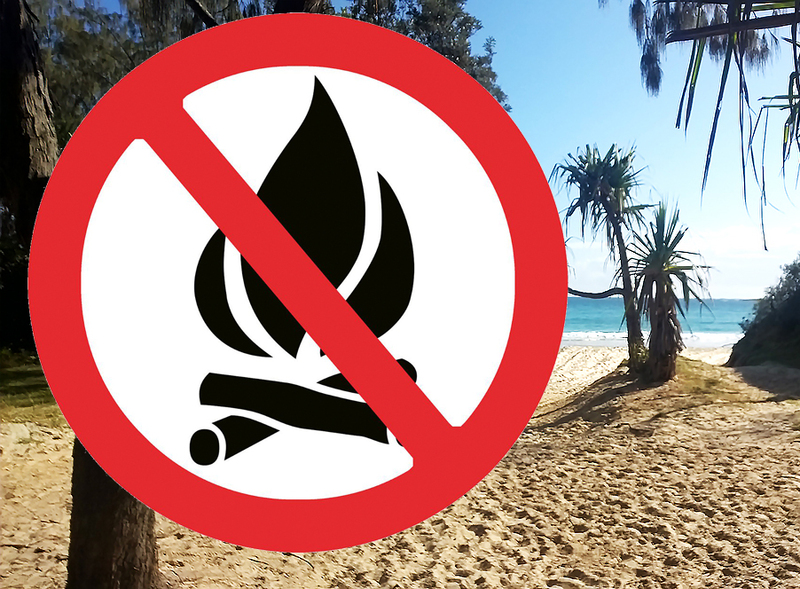 Lighting of fires is prohibited in Naree Budjong Djara National Park and Minjerribah Recreation Area, including all camping areas. All solid fuel fires (wood, charcoal, heat beads etc) are banned– gas and electric cooking appliances only which must be monitored closely. This fire ban is in place through to March 21 2017 due to current weather conditions and the high risk of wildfires. Your co-operation to protect people, property and wildlife is appreciated. Please notify QPWS on 0439 455 144 to report any fires.